The recently PBB Unlimited Big Winner Slater Young is now getting ready to enter the showbiz world. After he got Kuya's big prizes such as 2 Million in cash, Crystal Clear Negosyo franchise, appliance showcase and Asian tour package, he still confident to become an actor. Slater said, “I’d really love to try my hand at showbiz,” in his interview with "The Buzz" last Sunday. Slater also explained that he wants to work with these three lovely lady such as, KC Concepcion, Kim Chiu and Anne Curtis. 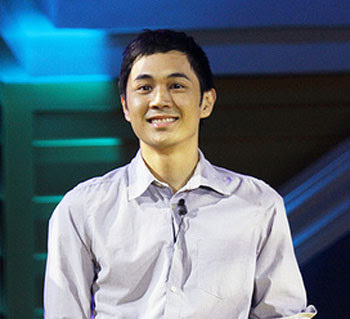 Slater Young got 40.02 percent of total text vote and that makes him the first Male Pinoy Big Brother - Big Winner. Comments or suggestions about "PBB Housemate Slater getting ready for show business" is important to us, you may share it by using the comment box below.